At OTERI, we have made quality an essential element of our global strategy and a driver of our success. 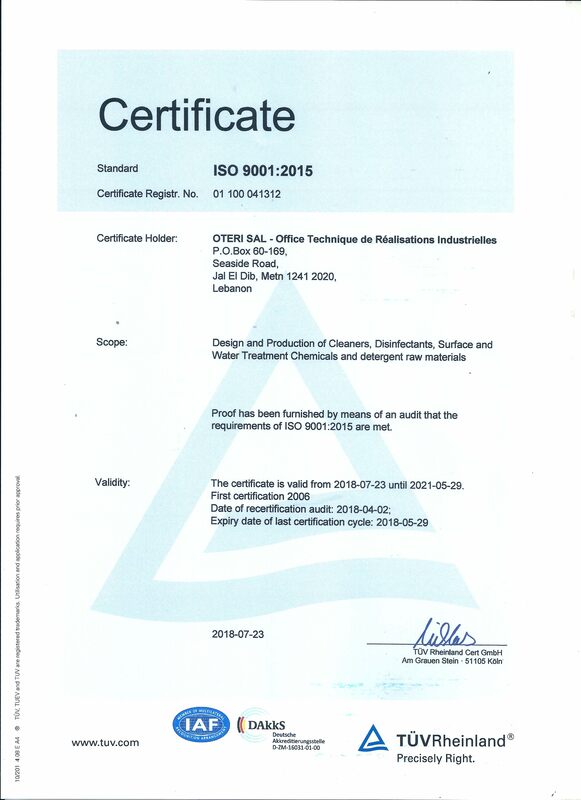 Since 2005 we are certified ISO 9001. We make sure that every part of our system is focused on insuring the best product quality and service to our customers. Our raw materials are carefully chosen and controlled and our products are carefully designed and tested before they are released on the market. Our Quality Policy is understood, implemented and maintained throughout the company in order to insure the production and delivery of the best competitive quality products and service meeting the requirements of our customers and ensure the continuous profitable growth of the company and create wealth for our shareholders and employees.